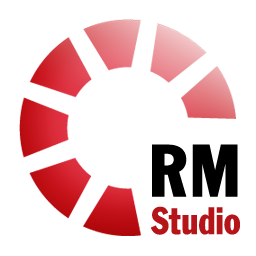 The RM Studio Business Partner program is designed to bring value and benefit to our partners and their clients. The Business Partners are strategically chosen and trained by RM Studio experts to provide exceptional levels of customer service and support with our Integrated Risk Management Framework. We enable our partners to deliver to their clients a dynamic risk management toolkit that is proven to organize and streamline the implementation and compliance process of multiple international standards, specifically ISO/IEC 27001. Pre- and post-sales support along with technical support. An information technology and security company specializing in ISMS risk management consulting for organizations implementing or restructuring their ISMS. Our Partner’s client is an international lottery solutions software and technology provider that’s an industry leader in innovation and technology. A desire to create and fortify a resilient strategy for information security, especially in regards to intellectual property protection is the client’s objective. The Lottery Solutions software industry is a rapidly changing technical environment, where innovation to provide new unique solutions is crucial for commercial success in the hyper-competitive market. The industry faces strict compliance demands from regulatory authorities daily and maintaining compliance and certifications for multiple International and Local Standards is a challenge in this environment. The client desperately needed a simple solution to centralize and maintain the integrity of the ISMS risk management strategy across several locations in multiple countries. The Client has successfully completed certification and re-certification for multiple standards with zero non-conformities several times. The Partner continues to support the Client through internal auditing and maintenance. We are currently seeking motivated business partners. Partnering with RM Studio, gives you the opportunity to provide this high caliber risk management solution to your clients at a sharply discounted cost. You will also have the support you need form us and our experienced team of risk management professionals. The RM Studio Partner Program develops mutual long-term growth, provides you with differentiation in the market and improves profitability for you and us. The RM Studio Integrated Risk Management platform has been tested and verified by Microsoft Platform Technology. Stiki is proud to carry the Microsoft Partner designation (2008-2018). This partnership was key to the development of RM Studio, enabling the company to utilize the latest technology from Microsoft. Stiki has been awarded a sponsorship from Rannís to further develop RM Studio. Rannís administers the main public competitive funds and strategic research programs in Iceland. These include the two principal funding instruments for research and technical development, the Icelandic Research Fund and the Technology Development Fund respectively.